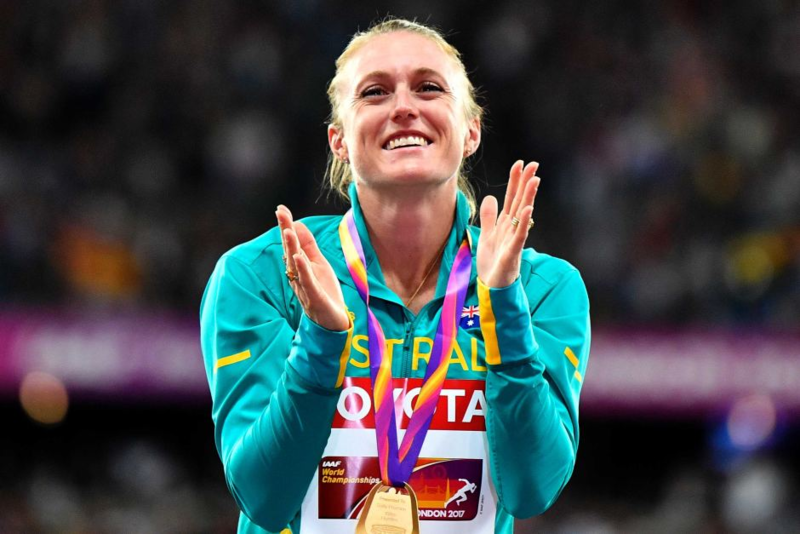 Australia’s dual 100-metre hurdles world champion Sally Pearson Sunday pulled out of her first competitive event in more than a year, saying her body was “overheating”, in a blow to her comeback plans. The 32-year-old, who won the world title in 2011 and 2017, hadn’t competed over the hurdles since an Achilles problem sidelined her 14 months ago. She won her first race since then at the Australian championships in 12.99 seconds, but looked drained afterwards on a hot Sydney day and pulled out of the final. “After the race I felt like I was overheating, my legs felt like lead and I just needed to get out of there,” she told reporters after getting the all-clear from medical staff. “I’m disappointed, really disappointed,” she added. It is a big blow for the 2012 Olympic champion as she targets more glory at the Doha world championships in September. Injuries have been a constant for Pearson, who suffered a broken wrist from a race fall which derailed her 2015 world titles campaign. A hamstring problem hit her 2016 Rio Olympics hopes and she was forced to pull out of the Commonwealth Games on home soil last year due to the Achilles issue. While it was tough going for Australia’s best-known athlete, the national championships, which wrap up Sunday, has unearthed several new potential stars, notably 16-year-old Sasha Zhoya. He burst onto the scene by winning the under-20 pole vault with a height of 5.56 metres, just shy of the world championship qualifying standard. No 16-year-old has ever jumped higher. The Perth-born Zhoya, who could opt to represent France courtesy of his French mother, also defied a headwind to clock 13.05 seconds and win the under-18 110m hurdles — another under-16 world best. That came a day after he clinched gold in the under-20 200m, finishing in 21.18, narrowly outside the Australian record. Eddie Nketia, 17, is another top prospect, stunning a more experienced field to win the men’s 100m in 10.22 seconds. Coached by his father and New Zealand 100m record holder Gus Nketia, he is another subject to a tug-of-war for his services. Nketia is eligible for either Australia or his family’s homeland. Among other athletes, Matt Denny won the men’s discus with a throw of 65.28m, inside world championship qualifying distance, while high jumper Joel Badan also leapt a world qualifying height of 2.30m. Both Kelsey Barber and Kathryn Mitchell threw world championships qualifying distances of 65.53m and 62.78m respectively in the women’s javelin.